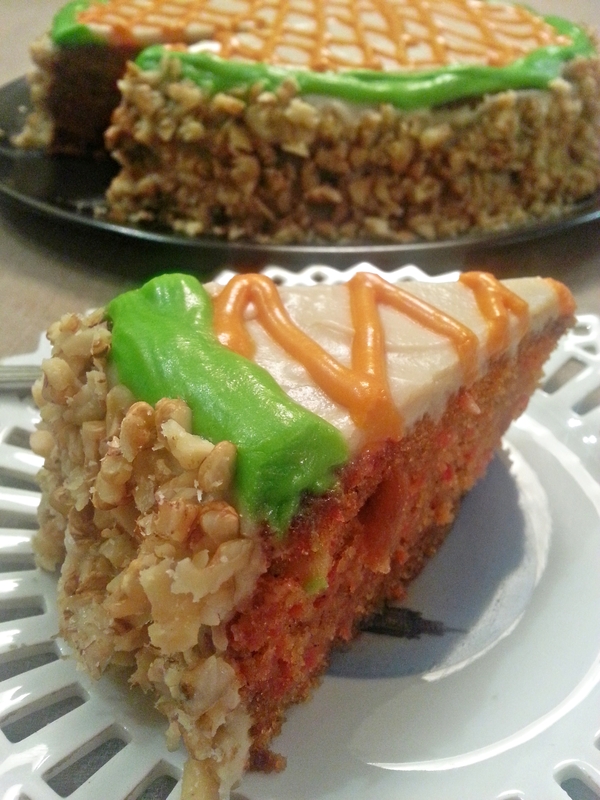 I have been making this cake for years now and have no desire to ever go looking for a new carrot cake recipe. This cake is perfect, completely flawless, it is the cake of my dreams. My relationship with the cake started seventeen years back when i was just eighteen years old and one of my friends had called me over for dinner, while her staff was laying down the food she was busy beating a cake batter i very distinctly remember standing in front of her, next to the kitchen door and asking her what was she up to? 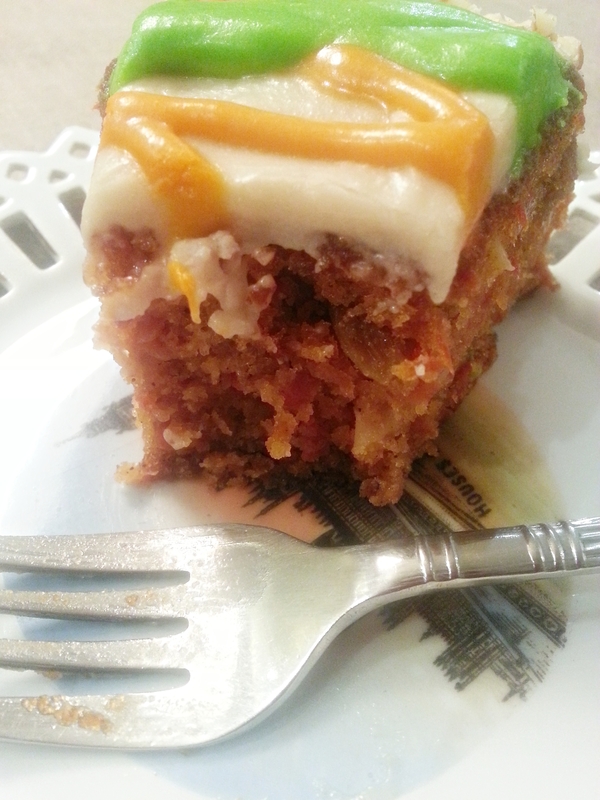 She was making a carrot cake for dessert, that was the first time i had ever tasted a carrot cake. 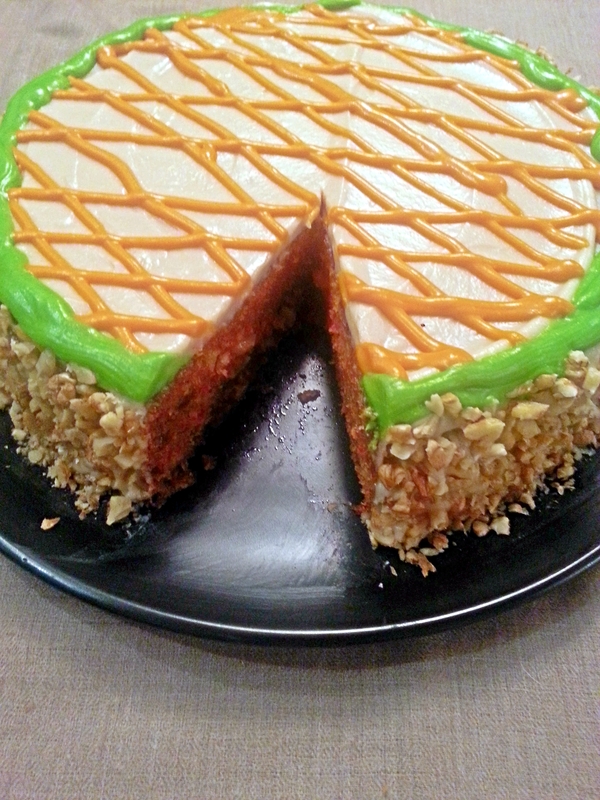 I was hooked on to it but, I was not very happy and satisfied with her recipe so I started looking around and asking my other friends and their mothers for a good recipe, after many trial and errors i finally was able to make my perfect carrot cake. The cake is amazing. 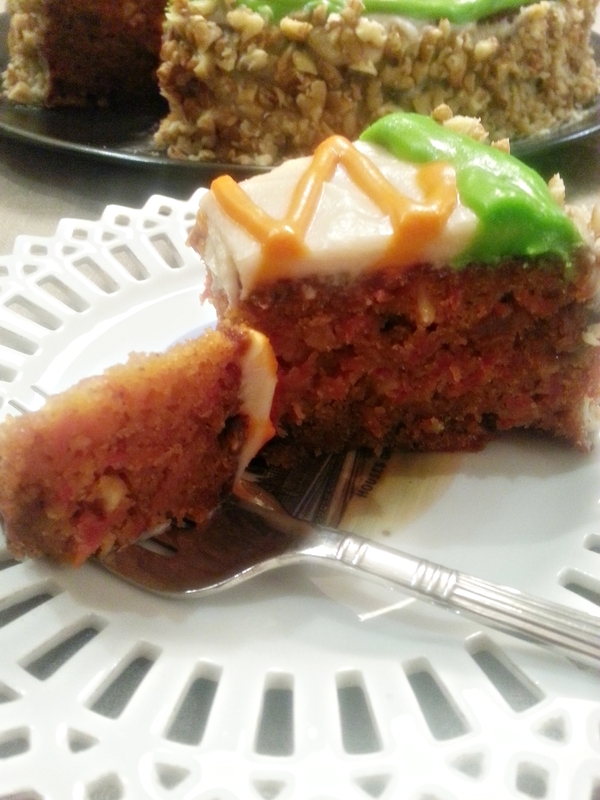 Moist, tender and dense packed with so much flavour…… i know, i know its really tacky to brag so much but i am sorry i can’t help it i am in love with this cake and it is my favourite. Preheat the oven to 180 degree centigrade. Line a 11 inch round cake pan with parchment paper and grease and dust with flour, set aside.Grate the carrots and set aside. In a mixing bowl sift the flour, baking powder, baking soda, salt and cinnamon. In a large mixing bowl, with an electric mixer, beat the eggs until blended. Add the vanilla extract, sugars, and vegetable oil beat to incorporate. Slowly stir in the dry ingredients in three batches, folding in well after each addition. Add the carrots, walnuts and raisins and fold in thoroughly. Pour batter into the prepared pan and bake for 40-45 minutes until toothpick inserted into the centre of the cake comes out clean and the cake springs back when touched lightly.Remove cake from oven and let stand for 10 minutes, then unmold and transfer to wire rack. Allow the cake to cool completely before frosting. In a large bowl with an electric mixer, whip together the cream cheese, butter and vanilla extract until fluffy. Stir in the icing sugar and mix thoroughly to combine well. 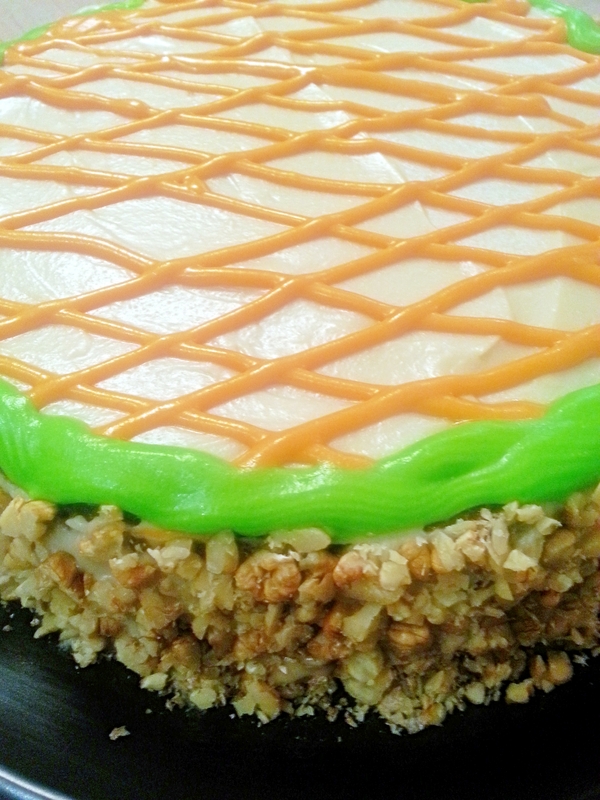 Flip the cake upside down and spread the frosting , sprinkle with chopped walnuts.